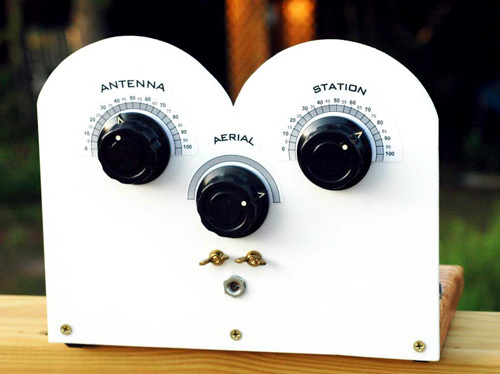 This Radio was inspired by Mike Peeples and his schematic that is offered for free. This amazing set performs so well it's hard to compare to anything I've built before. I started with a solid oak base 10 1/2" wide and 8" long. The front panel is 1/4 inch plastic very similar to what is used for cutting boards. 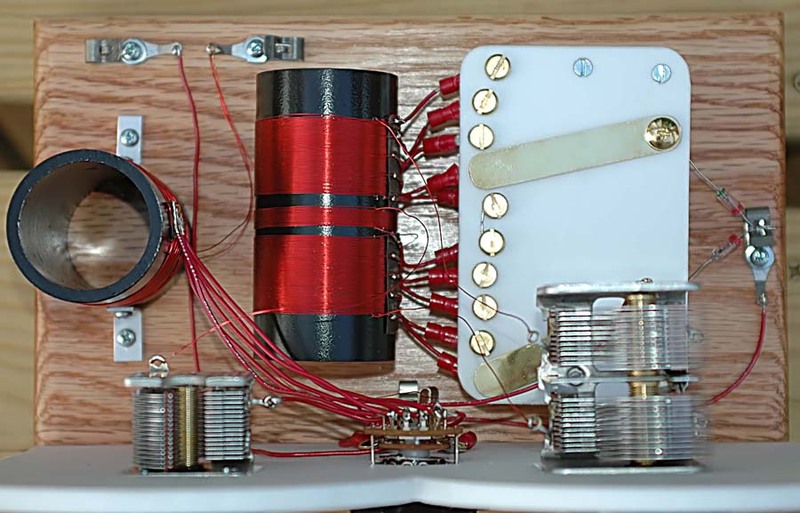 There are two tuning capacitors, a 365pF dual gang for the main coils and a single 365pF for the antenna coupler. His plans called for 28g wire and that's exactly what I used. 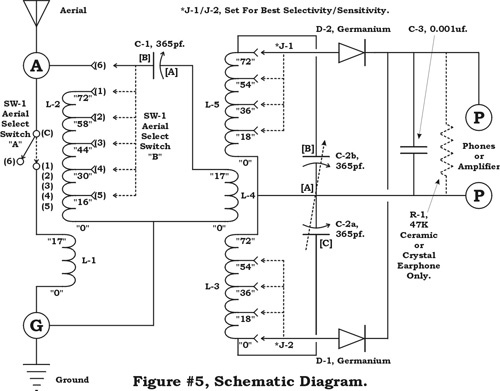 (see schematic) This radio is rectified by using a matched pair of diodes called 1N452 which can be bought on Mike's site. I decided to use a custom made brass sliding system which varies the selectivity and sensitivity. An alligator clip or switch could of been used here also. I tried to make this set as versatile as possible by allowing you to use a 1/4 jack for a headset or you could use the wing nuts for a crystal earpiece. 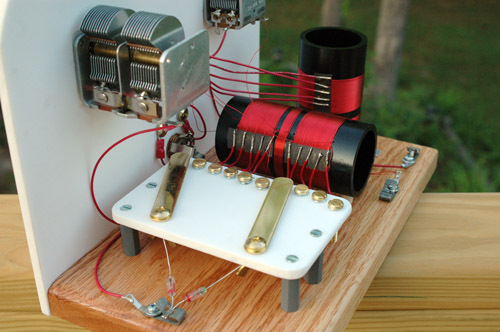 If you feel like you want to challenge yourself with an advanced crystal radio this is the one. 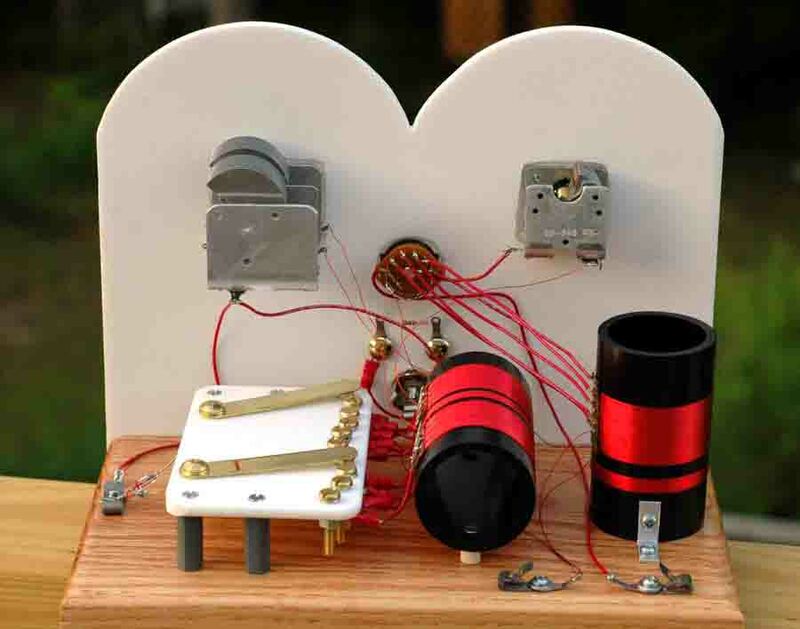 In fact Mike sells the whole kit on his web site and the only thing required is assembly. Happy buiding and thanks for looking.